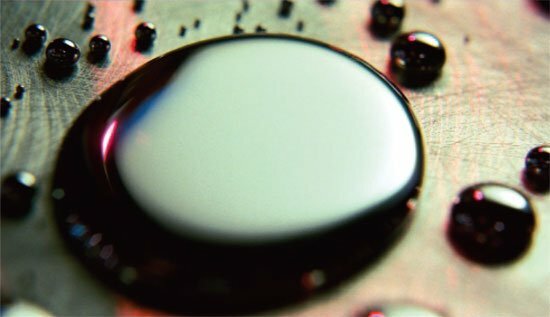 Back in August 2010, Apple had locked down exclusive rights from a company called LiquidMetal to use their light, elastic alloy in consumer electronics. Conveniently enough, LiquidMetal picked the day before the iPad 3 announcement to mention that they're shipping commercial parts to their customers. The process actually began in December, which would be fine timing to start churning out iPad 3 devices - if, in fact ,they're playing a big part in the manufacturing process. Since locking down the Apple agreement, LiquidMetal's contributions have been mostly invisible, figuring most prominently as the SIM ejector tool for the iPhone 3G. LiquidMetal has a lot of properties that would make it ideal for iPad 3 casing, like: corrosion resistance, light weight, elasticity, reduced material requirements and minimal post-production processing like deburring or milling - since it's a solidified liquid with minimal shrinkage. Of course, LiquidMetal doesn't mention Apple by name in their release, so it's all guesswork for the time being. Keep an ear out for their name being mentioned at the event this afternoon. LiquidMetal has a proprietary manufacturing process that is distinctly separate from traditional molding and forging; here's a snazzy demo video of LiquidMetal being used for making a watch; not too hard to imagine something similar in a Foxconn factory, eh?